I think this invention is needed and should be built and launched. It has a market waiting to use it and the technology is currently available. well ... what is it you may ask. Summary: It is a SaaS website where runners and their loved ones (fans) can go to see photos of the race from various spectator and runner perspectives. During the race viewers can see race times and photos as they are uploaded to the site and later can review the days event with more photos as they are added. The site can be used for everything from marathons, fun runs, bike races, charity walk-athons, and more. Idea: Many of us love to see ourselves and relive those special moments. 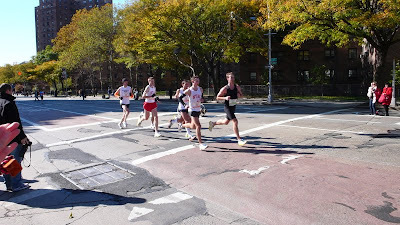 You access the site and see pictures people (spectators, professional photographers, other participants) have taken of the course, the fans, you and your fellow runners. You get to see all pictures taken at the time you where at that location during your race. Pictures where you have been identified will be highlighted and you can mark and tag additional photos. Interface: You access the site and enter the name or bib number of the person who you want to see. You are then shown the course with runner information including where they are now if the race is not completed and times they where at each place during the race. Each place a pictures of that runner was taken will be marked and the images can be selected and viewed. Similar to Google Maps street view, you can move your viewing perspective along the entire course and the time will match up with when the runner was at that location. This allows you to view pictures taken of the route at the time you where there and maybe even find additional photos of yourself. The interface also allows you to move through time at the specific location you have selected. 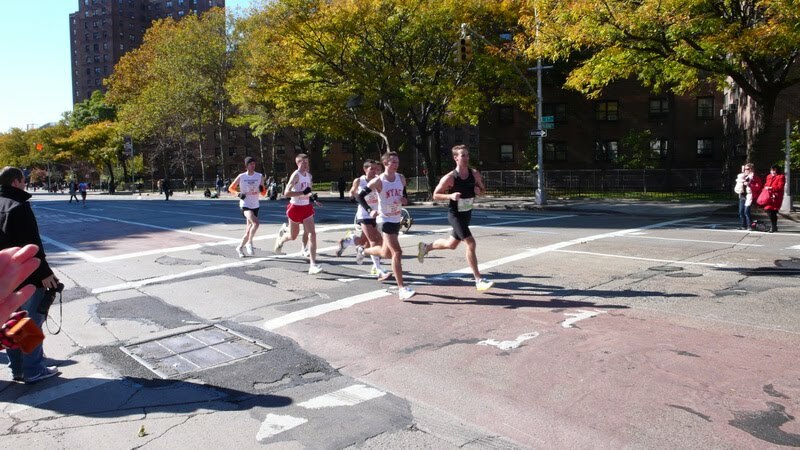 This feature would allow a fan to see all the pictures taken at that specific spot during the race so they could watch various runners coming across the finish line or struggle up a tough hill or maybe look at pictures of themselves being spectators. 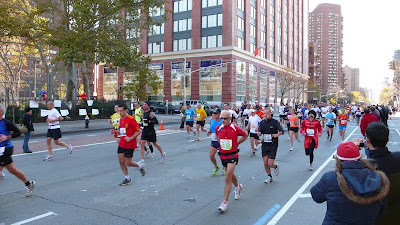 Recap User Experience: This site will enable both time and location based viewing of photos of a race and of yourself. 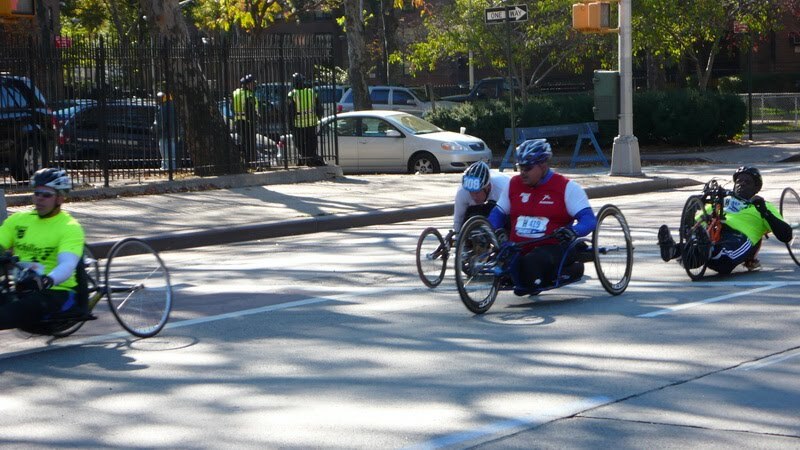 The user can attach themselves to a participant in the race or using a drag-able icon pick locations on the course. Move the time slider to follow the racer the length of the course seeing all the photos taken or move through time in the fixed location. Technology: Some of the technology is already in place and others need to be developed. 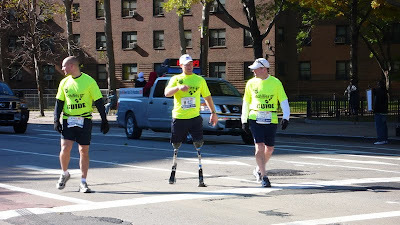 Looking up participants and getting initial information as to their location is commonly used in various races using RFID tied onto the shoe laces and collection points along the route (every mile or kilometer). You can use the NYC Marathon Athlete Tracker from TATA Consulting Service to shows times at each marker and do look-ups by First and/or Last Name, Bib number, City, Country, and Team. Facebook, Picasa, Flickr, and other sites allow you to post your photos and videos to the internet. They allow you to share these photos with your friends and if desired, the world. Many of these sites allow for GeoTagging of the photos using GPS information from your camera (or phone) or enter it manually when uploading the photos. The photographing devices also store time information as meta-data along with each photo which is available to these websites. A face recognition algorithm is a feature Picasa and monitoring software already has to recognize people that have been previously identified or tagged. Facebook has also gathered a library of over 500 million people and their faces as provided by user tagging of billions of photos. 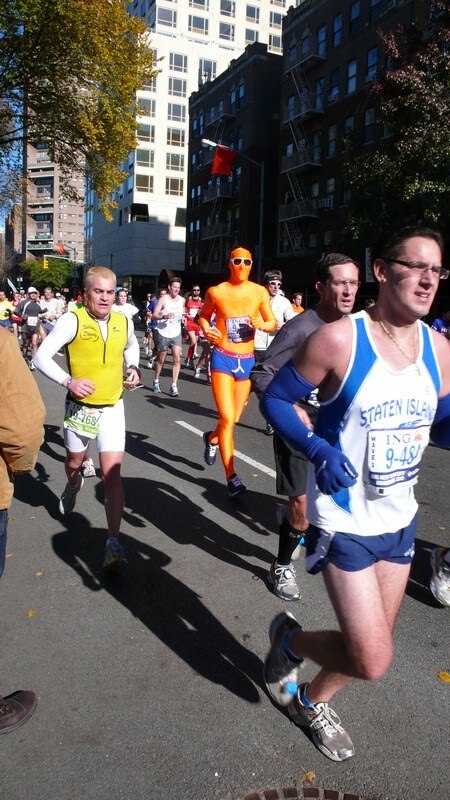 OCR (Optical Character Recognition), the oldest technology that has been around for decades is the last piece of the puzzle that can be used to identify bib numbers. 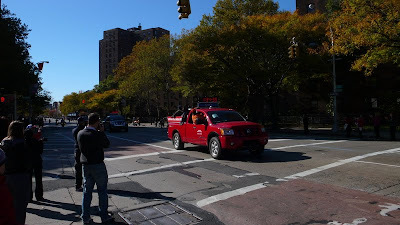 It can also aid in identifying places (building numbers, street signs, etc) as Google uses with its street view and GPS information to validate locations. Image recognition technology can also be used for identifying landmarks. Google Maps, Google Earth, or other viewers can then be used as the viewing environment. You can setup a course flyby in Google Earth and use their time slider to see photos over time. Using the RFID information we have a good idea where a runner is during the race and extrapolate times between check points. People upload photos in real-time or post race using their iPhone, Android, Blackberry, computers, cameras, etc. If in addition to the common time stamp information the location information is also provided, then we greatly reduce the set of valid Bib numbers the OCR system can select from. Once someone has been identified via bib number or manual tagging the face recognition algorithm will aid in additional identification, increase correctness, and cross checking against the bib identification algorithm. As the matrix of information grows. Photos without locations can be placed in the correct location, participants identified, incorrect photo times corrected. Using some of the interoperable applications, you'll be able to log into your Facebook account and see all the pictures people took of you during your race. Lastly, I tried out the low tech version manually and what fun. 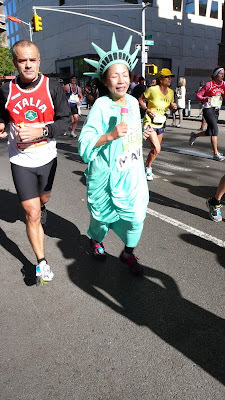 I had taken some great photos during the NYC Marathon and was able to lookup the runner by Bib number. From that information get their name. If their name was not too common, find them on Facebook or LinkedIn and contact them to share your photos with them. Like all information in our current age, use it for good. Does contacting some you thought was cute to ask them out count as good, I leave that decision to you, your peers, and match.com. There you have the technology and the long awaited user experience. These images can then be explored through time and space. 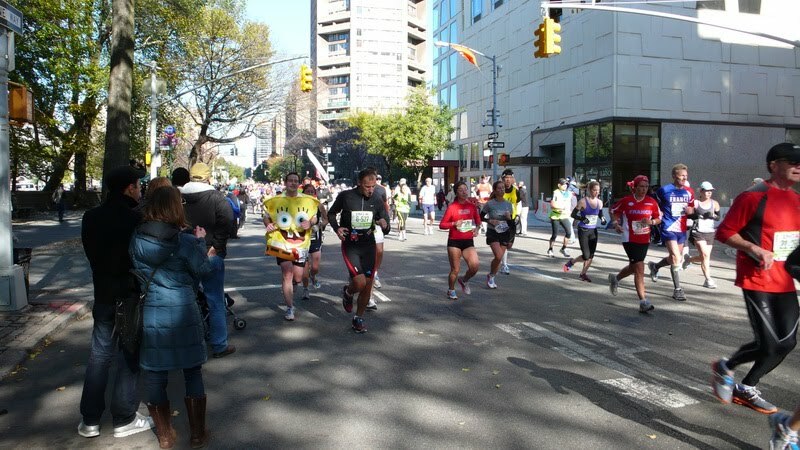 Notice we have sponge-bob at two locations 40 minutes apart. Yeah, sounds interesting sure enough, but I can't quite see a business model that would attract enough users. What's your revenue model? This has been done, at least 10 years ago. One we used to compete with was Brightroom (www.brightroom.com). I was one of the founding members of Billy's Pretty Good Photos in Louisville, KY (www.billysprettygoodphotos.com), but have since went back to software development to pay the bills. Thanks Ronald. What did you use for the OCR? Assume there is open source image OCR for Bib identification software. The part I assume is new is that the photos don't only come from professional photos but from the crowd (shared facebook photos, fickr, etc) and the connecting it with the location information. Looks like brightroom was used in 2005 and then gone, what happened?